Endo Health Solutions Inc. promoted Lidoderm adhesive pain-relief patch for treatment of chronic pain stemming from carpal tunnel syndrome, diabetic neuropathy and other conditions, claimed the federal government and several employee whistleblowers in federal court lawsuits. Lidoderm had only been approved by the FDA to treat complications of shingles. 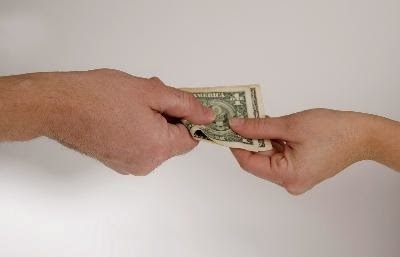 Last week Endo agreed to pay nearly $193 million to settle civil whistleblower claims and criminal allegations that off-label promotion (promoting the drug for uses other than that for which it has been officially approved) induced health care providers to submit false claims for reimbursement to Medicare, Medicaid and other federal programs. 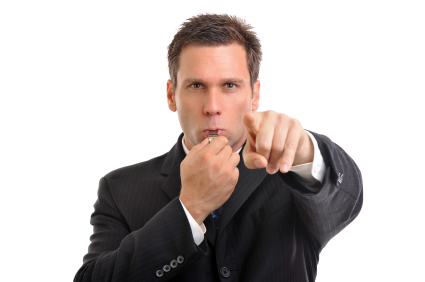 The employee whistle blowers received substantial qui tam (when a private individual who assists a prosecution can receive all or part of any penalty imposed settlements) as well. The lead case is Ryan v. Endo Pharmaceuticals Inc.
Three days later Doshi Diagnostic Imaging Services PC agreed to pay $15.5 million to settle False Claims Act claims that it fraudulently billed Medicare and Medicaid for tests that were not performed or were unnecessary. According to the federal court complaint, Doshi repeatedly directed its employees to alter the reports of Doshi’s radiologists by adding fabricated information indicating that the radiologist had found the much more expensive color Doppler procedures medically necessary to their interpretation of the patient’s diagnostic images. According to the settlement documents, Doshi will pay roughly $1.1 million to three whistle blowing employees. The case is U.S. v. Doshi Diagnostic Imaging Services. Common Sense Counsel: Any company which accepts federal funds is open to a False Claims Act (FCA) lawsuit initiated by the federal government or a whistle blower employee filing a qui tam action. Whistle blowers are financially incentivized to bring suits against individuals or businesses that knowingly submit false claims for payment to the federal government earning up to 30 percent of any amount recovered. ObamaCare has it own whistle blower protections. 1) Make smart and informed hiring decisions. You may be exposed to liability due to the actions of a partner who has engaged in past patterns of fraudulent or criminal behavior. Opportunistic employees who filed past lawsuits may also position themselves as whistleblowers. 2) Well drafted FCA policy and regular training. Policy signoffs and employee orientation repeated during annual training programs are good ways to ensure all levels of staff understand and remain clear of their own ethical obligations and potential risks of failing to comply. 3) Routine good faith audits. The most effective way to avoid FCA liability is with routine and detailed good faith internal audits. Audits should be performed by an outside firm which demonstrates a commitment to compliance and can be useful in defending any future false claim allegations. Cloaking those under the attorney client privilege is always wise counsel. 4) Have a response plan. If an employee blows an internal whistle, take immediate steps to investigate and address the claim. Responding to allegations and prompt correction of errors is likely to help avoid more serious liability. If the investigation reveals a pattern of improper claims, billing for a ghost patient or procedure, or intentional upcoding, a more formal audit should be conducted. Vicki Edwards was the Branch Manager of the Huntsville location for Allied Home Mortgage Capital Corporation where she was to procure, facilitate and close home-mortgage loans underwritten by Allied. At some point she became very disgruntled with the way Allied’s home office in Texas was handling the business affairs of her office so Edwards begin retaining checks that were made payable to Allied and depositing those into her personal d/b/a account at SouthTrust Bank. Over ten years, she deposited more than $425,000 into her personal account. Edwards later stated that she had retained and deposited those checks out of her frustration in dealing with Allied on accounting questions related to the Huntsville branch account. Allied attempted to perform a routine audit of the Huntsville branch office when the auditor was not treated in a businesslike manner. Immediately after his visit, Allied terminated its agreement with Edwards, closed the branch and collected 45 boxes of documents. One box contained a SouthTrust bank notice on her personal d/b/a account. After a full audit, Allied sued Howard for conversion, fraudulent suppression and the not often invoked faithless servant doctrine. The faithless servant doctrine precludes an employee from receiving compensation for conduct that is disloyal to the employer or in violation of the employee’s employment contract. Allied eventually got a verdict of $513,000 against Edward and the court also ordered that she forfeited any right to receive other benefits. The case is Edwards v. Allied before the Alabama Supreme Court. In accordance with the faithless servant doctrine Allied used, an employee is entitled to no compensation for conduct which is disobedient or which is a breach of the employees duty of loyalty. If the conduct constitutes a willful and deliberate breach of an employees duty of loyalty, the employee is not even entitled to compensation for properly performed services. McGar v. Adams, 65 Ala. 106 (Ala 1880) was the first case in the United States to recognize this doctrine. The faithless servant doctrine has been recognized since in multiple state and federal courts and most harshly applied in the New York courts of late. Common Sense Counsel: Realize that an employer in Alabama is not defenseless when an employee steals money or trade secrets, engages in disloyal acts in violation of contract or handbook policies, fraudulently conceals information or other conduct showing them to be a “faithless servant”. This is powerful claim every Alabama employer can pursue against the “faithless servant” to “claw back” bonuses, 401(k) payments, severance, and other payments made from the time the disloyal conduct commenced. Take time now to amend your handbook, benefits disclaimers and employment contracts to better sharpen your lance when an employee wishes to legally joust with you. Trudi Momsen, who worked at United Parcel Service (UPS) since 1990, was terminated in March 2007 soon after returning from a twelve-month medical leave of absence. When she returned to work in February 2007, she required a cane to walk and requested reasonable accommodations including a hand cart, UPS refused to provide her with any accommodations. Soon after returning to work, Momsen injured herself and needed to take additional time off to receive therapeutic treatment. Instead of granting Momsen’s request for additional medical leave, UPS released her pursuant to its policy providing that employees will be “administratively separated from employment” after twelve months of leave. Momsen then filed a Charge with the EEOC alleging discrimination under the American with Disability Act (ADA). The EEOC then took her case on as their own and filed suit on her behalf, and other similarity situated employees, in Federal District Court in Illinois. The ADA prohibits an employer from using qualification standards, employment tests or other selection criteria that screen out or tend to screen out an individual with a disability or a class of individuals with disabilities unless the standard, test or other selection criteria, as used by the covered entity, is shown to be job-related for the position in question and is consistent with business necessity. 42 U.S.C. § 12112(b)(6). The EEOC alleged in its suit against UPS that its leave policy maintains a “100% healed requirement” which it claimed operated as a medical qualification standard in violation the above ADA provisions and prevents individualized assessment. 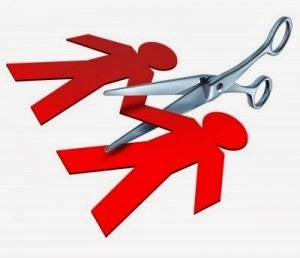 The Federal Judge this past week agreed and has allowed the EEOC’s case to move forward. 7) Do not draw “12 month separation rule” lines in the sand, or your in handbook, that the EEOC can use to try and make you a poster child. On Valentines Day, workers at Volkswagen’s Chattanooga, Tenn. assembly plant will finalize voting on whether to form a union. This was after the National Labor Relations Board (NLRB) scheduled a vote at the request of Volkswagen Group of America to conduct a “rocket election” with less than two weeks notice to employees. There is great concern about the existence of backroom deals cut between Volkswagen and UAW officials which gave union organizers preferential access to the workers leading up to the election. There have been calls to release any agreements VW has signed regarding what would happen if the UAW union takes monopoly bargaining power over the workplace, including agreements to impose a so-called work council on the employees. Last fall several VW workers filed charges alleging improprieties in the UAW union card check process, including getting workers to sign union authorization cards by coercion and misrepresentation. Some of those workers also filed charges with the NLRB against VW alleging that statements by German VW officials were illegally intimidating their fellow workers to accept UAW monopoly bargaining power over their workplace. The UAW says it is seeking to create a European-style labor agreement in Tennessee that would follow arrangements VW has at other plants around the world. The "work council" style of labor-management puts workers on a board with management that sets work rules and can arrange schedules and other conditions in the plant. In other regions of the world a formal independent union isn't required to have a work council, but in the U.S., labor law requires an outside union to establish such an entity. 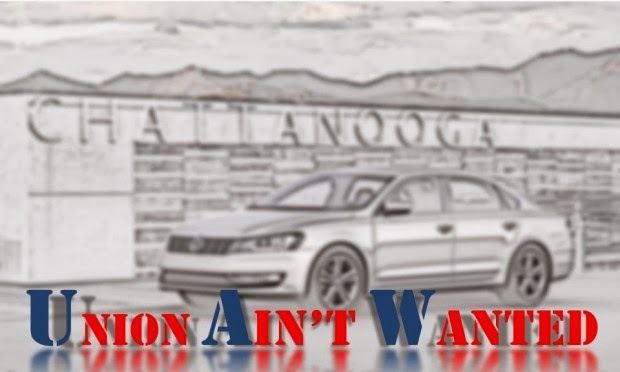 Common Sense Counsel: By this shot gun wedding VW is trying to force its Chattanooga employees into a Valentines Day love affair with the UAW. Don’t be deceived! The UAW is a wolf in sheep clothing (work councils) seeking to devour the paychecks of its members.